Q. Do you clean as well? A. Yes, we do light cleaning. 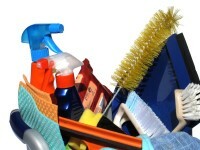 When decluttering an area we will be dusting, wiping down and vacuuming as we go along. However, we don't do deep cleaning such as scrubbing floors and toilets, or cleaning the cookers, you'll need to get specialist cleaners for that sort of help. Do I need to clean and tidy first? Can you help me with storage solutions as well? I have a disability, is that OK?